Pisces If you are searching for love, you could find a candidate in the field of money and economy. That's where the romantic wind is blowing. A potent attraction could heat up but make sure you also connect spiritually as well. It's not smart to eagerly grab every possible opportunity just because you want to add excitement to your nights. If you're in a relationship, adjust your tempo to your energy level of your partner. What's important is that you and your partner have a connection that thrills your body and soul. Expect a hectic week, Pisces. Just the thought of everything you still have to and want to do could paralyze you. Check out your biorhythm and adjust your commitments. Pisces There could be a storm in love for a bit but once thunder and lightning disappear the air will clear up. Those thunders are sometimes necessary, Pisces. In terms of work, a special week awaits you if you don't let a minor setback intimidate you. You are a sore loser sometimes and that doesn't make things better. A light addiction is lurking around the corner. Break loose now, Pisces. Getting too deep into it could affect your health and your relationship with others. Aries Pisces There could be a storm in love for a bit but once thunder and lightning disappear the air will clear up. Those thunders are sometimes necessary, Pisces. In terms of work, a special week awaits you if you don't let a minor setback intimidate you. You are a sore loser sometimes and that doesn't make things better. A light addiction is lurking around the corner. Break loose now, Pisces. Getting too deep into it could affect your health and your relationship with others. Pisces Letting go is not your strongest character trait because you often hold on to the old and familiar. Fortunately, circumstances this week will encourage you to say goodbye and move on. The past is the past, Pisces. Financially, you have learned your lessons in regard to money matters and you carry these lessons along to something new and exciting. It may involve a business venture. Your health is okay but that's not a reason to slouch around and be lazy. Get up from the couch and will yourself to be more physically active. 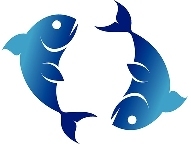 Find out about the Pisces love horoscope and famous Pisces people using the link above.